Kamp Karis leader Seth Freeman reflects on his week on-mission with Kamp Karis. Karis Kids leader Annie Freeman invites us to share in the important work of serving children in our city and church. ForColumbia volunteer Sam Miers discusses the importance of serving our city. Anyone who has stepped inside a store or shopping mall lately can attest that preparation has already begun for the 2017 Christmas season. While Christians do have a special joy to celebrate on Christmas day, everyone gets excited about Christmas presents. Especially children. For many parents and guardians, however, providing kids with Christmas presents seems impossible due to financial insecurity. All across our town, families are experiencing anxiety rather than joy this Christmas. Many families in Columbia are already living below the poverty line, and things like medical emergencies, incarceration and job loss can financially devastate even middle-class households. For many of our neighbors, Christmas is just one more item on the list of things they cannot afford. This reality is particularly devastating for those who are raising children. Karis Church is passionate about the city of Columbia and the citizens residing here. We want to do everything we can to serve and love our neighbors, meeting both their spiritual and the physical needs. For Karis Church, Christmas is the perfect opportunity for us to show the same grace and mercy that we have been shown through Jesus Christ. Using a model developed by other churches and organizations across the country, Karis Church was able to launch our Affordable Christmas program in 2016. Local schools and service organizations helped put us in touch with families in need, and these men and women were invited to shop for children’s presents at extremely low prices, making Christmas shopping far more affordable for those struggling to make ends meet. 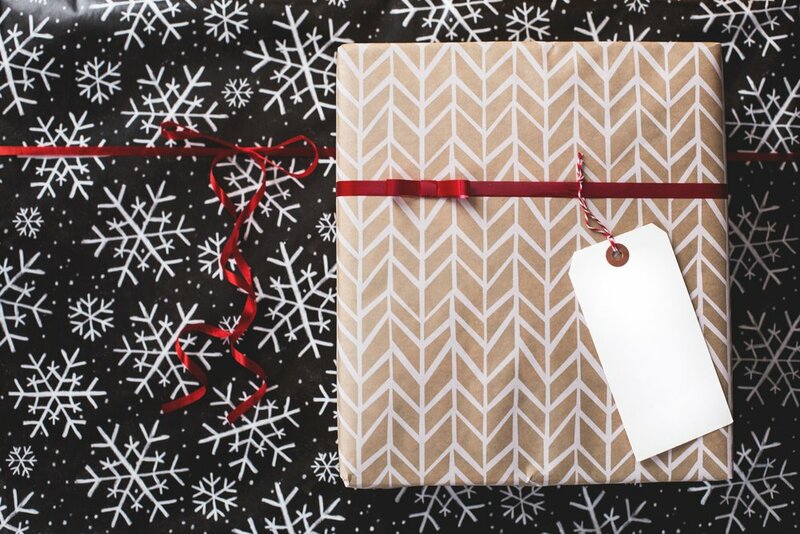 Affordable Christmas is distinct from other Christmas gift programs because parents are not receiving free Christmas presents that have been pre-selected by strangers. Affordable Christmas shoppers are buying gifts for their own children, with their own money. While Affordable Christmas is supportive of other Christmas charities, we believe that there is still a population of people who aren’t being served during the holidays. Many Christmas gift programs have strict income limits, and income isn’t the only contributing factor when considering financial need. Some programs only provide gifts for very young children, with few options for households with teenagers. Finally, many adults feel embarrassment and shame for accepting any sort of financial help, even when the need is severe. Affordable Christmas shoppers choose and purchase gifts for children at 10% of the original sticker price. For instance, an Easy Bake Oven that is typically over $40.00 would be available for shoppers to purchase for $5. The Affordable Christmas store is stocked with new toys, clothes, books and games using donations from Karis Church members, local businesses and individual donors. Participants are provided breakfast, childcare, and a personal shopper while they purchase gifts for the kids in their households. The Affordable Christmas store is closed to the public, and photography of shoppers is prohibited. In this way, Affordable Christmas hopes to preserve the privacy and comfort of all those participating. Our intention for every shopper is to reduce their financial stress, eliminate the shame that is sometimes attached to receiving help and empower participating families to be the hero for their kids on Christmas morning; not us. If this vision for serving families in Columbia resonates with you, would you consider joining us this Christmas season? We offer two simple ways for donors to provide gifts for our Affordable Christmas store. The first is through GivingFire. Interested donors can follow this link to Karis Church’s donation center, then click “Affordable Christmas” from the list of possible options. Any funds you direct towards the Affordable Christmas fund will only be used for that purpose. If you enjoy shopping for gifts, we encourage you to drop them off on a Sunday at Karis Church. We have set up a Christmas tree in the lobby so that donors may leave whatever gifts they purchase to be placed in our store. You can also shop online by visiting the Affordable Christmas Amazon wishlist. These gifts can be directly delivered to us. Volunteers are the backbone of our event, and we are always in need of more volunteers on shopping day. Are you enthusiastic, welcoming and interested in personally serving our shoppers? You can sign up to serve as a volunteer on December 9th. Please register to volunteer quickly so that your preferred team still has room for you! We believe that prayer is transformative, and that community is powerful. Affordable Christmas leaders ask you to pray for our humility as we serve our neighbors. We also pray that all of our shoppers come to know a saving knowledge of Jesus Christ. We ask for all of our friends, family members and neighbors to share this post with the prayer that others may feel compelled to help in some way (or start an Affordable Christmas program in their own city!) Will you pray for us and share news about this event over the coming months? If you have additional questions about Affordable Christmas, please contact the Director of Affordable Christmas. Our City Hurts: What Now? It’s been just a couple of weeks since the shootings of black men in Louisiana and Minnesota. And then we saw a group of police offers killed a few days later in Dallas (I found out right before the first gathering about the police shootings in Louisiana). It’s easy, isn’t it, to get separated from those incidents by some time and then forget? But time doesn’t really heal wounds, does it? We can’t forget what happened. And we must do something to change things. Well, what’s Karis going to do? We’re going to keep praying for, and running after, racial and ethnic diversity in our church. And we’re not just going to sit here and wait for it. We’ll be out in the neighborhood that surrounds us, seeking to welcome people in. Most of them won’t look like us. Come and pray with us tonight at 5 if you can. We’ll also be doing some events this year to connect with the people in the First Ward and love them well. Our youth and kids ministries are going to intentionally seek out the young people surrounding this building. We’ll also keep pursuing partnerships with African-American pastors and churches in town like we’ve done with Bishop Lorenzo and Chosen Generation. We’re excited to see where that will take us as a church family. We’ll also continue to be involved in a larger conversation that’s taking place among the church here in Columbia. I’ve been a part of a group of pastors here talking about diversity and unity. There has already been one joint community worship service, and I’ve heard there will be more. We’ll keep having conversations about race and the importance of ethnic diversity. We’ll talk about how such diversity shows the beauty of God. We’ll talk about how our unity shows the power of the gospel. We’ll talk about and preach boldly that each human being is made in the image of God and deserves respect and protection. There is another component I haven’t mentioned yet: the police. Did you know one of our pastors, Rob Gaskin, is a chaplain with the Columbia Police Department? Our officers are people, too. So many of them serve so bravely and honorably. Their job is probably more difficult than it has ever been. Rob gets the privilege of getting to know them and share Christ’s love with them. He gets to provide counsel in times of struggle. Added to all of that, Rob’s a part of the negotiations team. He’s uniquely trained to help deescalate conflict and keep people alive. He can’t be in every police car, but his training, and at times, his presence, could even keep people here from getting shot (Rob was actually at a standoff on Friday night in north Columbia until 2 a.m.!) We as elders have encouraged Rob to use a significant part of his Karis work hours to serve in this way. I’m excited that we’re involved on both sides of this current cultural struggle. And we don’t want them to remain “sides” any longer. We want to do anything we can to change that. Karis, we as elders see ourselves standing at a key point in American history. We’ve found ourselves as Missourians right in the center of it all. We won’t be silent. And we ask for your help and prayers as we fight for the dignity and safety of all people made in God’s image. That’s while we also seek to love and honor those put in place by God to make sure those freedoms are protected. Will you pray with us? Will you seek change with us?